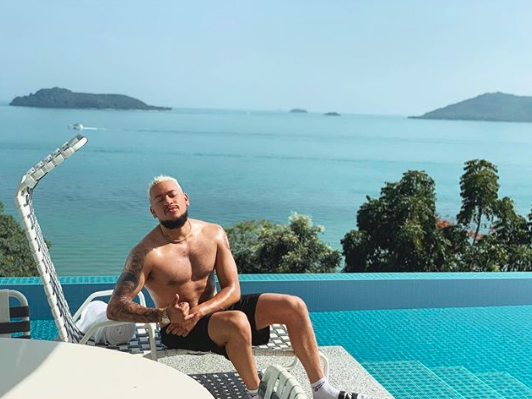 DJ Zinhle and AKA on baecation? DJ Zinhle and AKA have taken this co-parenting thing to a whole new level. After their very hectic festive season schedules, the former lovers are taking it easy on a much needed holiday. Although they're yet to confirm whether they're back together or not, their recent social media activity seems to point out that they're than co-parents. They shared images on their Instagram pages, and well, the backgrounds look the same. This was probably done on purpose. They know fans have been on to them for months, and well, they're giving the people what they want! This is not the first time these two have been on vacation together (duh). They recently made headlines after fans figured out that they were spending some time together in Cape Town. We think they're dropped enough hints already. Maybe they'll make it official with a post on DJ Zinhle's blog one of these days?